← How many RF pulses per day from a Smart Meter? Energy companies often cite the California Council on Science and Technology (CCST) report on Smart Meters as proof of Smart Meter safety. What is the CCST Report? In July 2010, California Assemblyman Jared Huffman (later joined by Assemblyman Bill Monning) asked the CCST to review Smart Meter safety. The CCST is a politically-appointed advisory panel for the state of California, representing aerospace, industry, university, government, and technology interests. It is not impartial or independent. An independent, science-based study by the California Council on Science and Technology would help policy makers and the general public resolve the debate over whether SmartMeters present a significant risk of adverse health effects. Toward that end, I request that the Council specifically determine whether FCC standards for SmartMeters are sufficiently protective of public health taking into account current exposure levels to radiofrequency and electromagnetic fields, and further to assess whether additional technology specific standards are needed for SmartMeters and other devises that are commonly found in and around homes, to ensure adequate protection from adverse health effects. CCST conclusions: FCC guidelines are protective for thermal impacts from Smart Meters; non-thermal impacts are unknown. It made recommendations that were ignored (see below). The CCST panel did not conduct any research. It relied on government agencies and the energy industry for much of its analysis, data, and recommendations. The report based its conclusions on so-called “consensus” science. It is astoundingly unscientific; despite its claims of being scientifically rigorous, it committed serious and basic statistical errors. And though the WHO IARC declared RF to be a Class 2b carcinogen in May 2011, there has been no call by the CCST to change its conclusions. and other scientists and health care professionals. Links are below. A prominent chart in the CCST report has serious errors which undermine CCST conclusions. This chart is often used by utility companies in Smart Meter marketing materials[i]. The CCST panel used different units of measurement when comparing Smart Meter radiation exposure to that of wireless devices, such as cell phones. These fundamental errors reveal the lack of statistical knowledge and lack of scientific background of the panel members. exposure from one Smart Meter is far greater than exposure to wireless devices, such as cell phones. Many children and adults sleep against walls where Smart Meters are mounted. 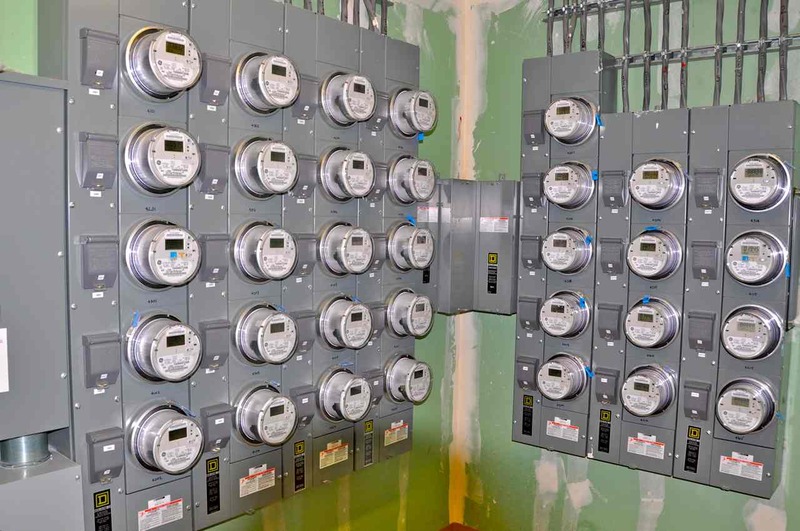 Many apartments and condominiums have groups of meters installed on the walls of living units or facing public areas. 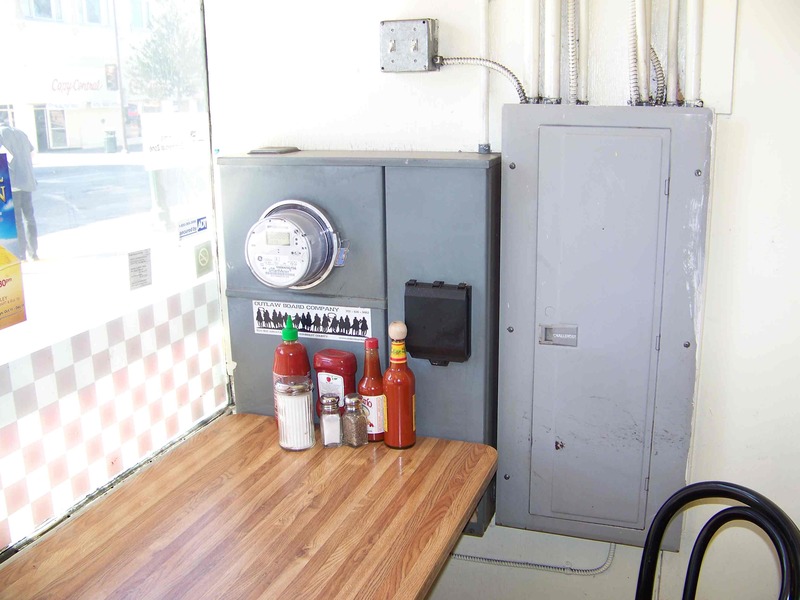 In some areas, Smart Meters are installed inside homes and businesses. Smart Meter installers were never warned about the hazard of being in close proximity while installing hundreds of Smart Meters, including in situations such as this. Consumers should be provided with clearly understood information about the radiofrequency emissions of all devices that emit RF including smart meters. Such information should include intensity of output, duration and frequency of output, and, in the cases of the smart meter, pattern of sending and receiving transmissions to and from all sources. The California Public Utilities Commission should consider doing an independent review of the deployment of smart meters to determine if they are installed and operating consistent with the information provided to the consumer. Unfortunately, these were ignored. California bill AB 37 by Asm. Huffman, which would have required utilities to disclose RF information to the public, was withdrawn by him. This entry was posted in Uncategorized and tagged CCST, CDPH, ComEd, Daniel Hirsch, Jared Huffman, Kaiser Permanente, Neutra. Bookmark the permalink.